Dakar is a huge city with many with many hotels, I decided to stay in the Ngor district which felt safe. A lot of the upmarket hotels are ridiculous prices, this is because Dakar is at risk of a potential terrorist attack and they need to pay for increased security. 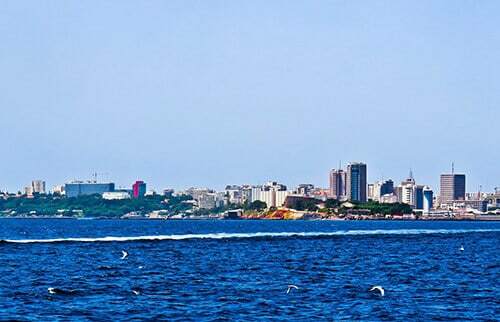 Being the capital city of Senegal, Dakar is quite expensive compared to the rest of the country. I stayed in the N’gor area where there are plenty of restaurants, bars and supermarkets. As a matter of fact there’s a fake McDonald’s and yes I went in to check it out as they don’t have regular McDonald’s in Senegal. They had a full McDonald’s menu but when I went to order all they offered was a very bad looking Big Mac meal so I gave it a miss and ate a rice and meat meal in a local restaurant close by. 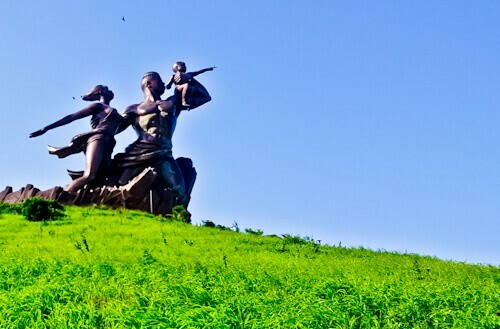 There are 3 points of interest around the African Renaissance Monument, the monument itself, the Deux Mamelles hills and Les Mamelles Lighthouse. The Les Mamelles Lighthouse is situated at the westernmost point of continental Africa, that’s one for the bucket list! The Deux Mamelles hills are hills that look like women’s breasts, hence the name. As the lighthouse is close to these breasts, it also inherits the name ‘Les Mamelles Lighthouse’. Did you know that you can see Africa from the southernmost point of continental Europe in Tarifa, Spain? I have included myself in the photo on the UNESCO world heritage site, Gorée Island so you can see how hot it was, take water! Having said how hot it was, it’s a little ridiculous to be complaining about the heat in comparison to the history of the House of the Slaves. The House of Slaves, also known as the ‘door of no return’ was a marketplace for slaves back in the days of the slave trade. Slaves would be brought here from all over Africa before being processed and taken to the Americas and Europe. The conditions of the slave house are pretty hard with iron shackles and small rooms with no windows. Both Nelson Mandela and Barack Obama have visited the House of Slaves at Gorée Island. A popular day trip from Dakar is to Lake Retba, which is a pink lake that photographs wonderfully. Around Gorée Island, especially the ferry terminal you’ll find people offering tours to the lake, remember prices are negotiable. You could ask in your hotel about visiting Lake Retba, this would offer you more security. My next destination after Senegal was Mali and I needed a visa to enter Mali. Before visiting Gorée Island I went to the Mali Embassy and applied for a Mali visa at 9am in morning. The visa was ready the same day at 2pm at a cost of 25,000 francs. 2 passport photos and a photocopy of the photo page of the passport was required. Upon leaving the embassy the security guard made me feel a little uncomfortable by telling me he liked my sunglasses whilst indicating to me that he wanted me to give him them as a tip (I didn’t). I left Dakar early morning from the bush taxi station. There were plenty of people traveling so the taxi filled up quickly and I was away by 7am. The price was 9500 francs. In addition, I was offered the front seat for 2000 francs which I took. 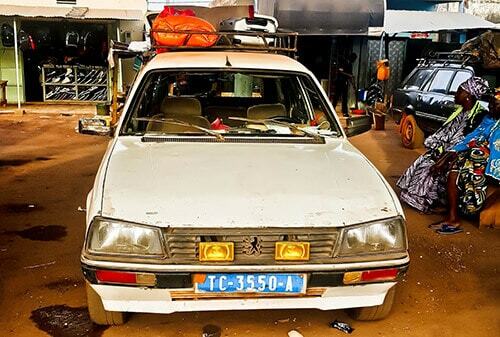 The journey to the Tambacounda bush taxi station was 7 hours with just 1 stop for food and bathroom break. The bush taxis are called sept place in French which means ‘seven places’. Tambacounda is a city in western Senegal famous for the UNESCO world heritage site Niokolo-Koba National Park. The national park is home to antelopes, chimpanzees, lions, leopards, elephants, as well as birds, reptiles and amphibians. I was in transit through Tambacounda, just to rest and get some food. It turned out to be quite stressful trying to find a restaurant, food is sparse in this part of the world. Fortunately I found a restaurant serving rice and meat, you can only live off packets of cookies for so long. Pictured above is the old train station, in fact there used to be a train service from Dakar to Bamako which would have been perfect for my journey but unfortunately it doesn’t run anymore. 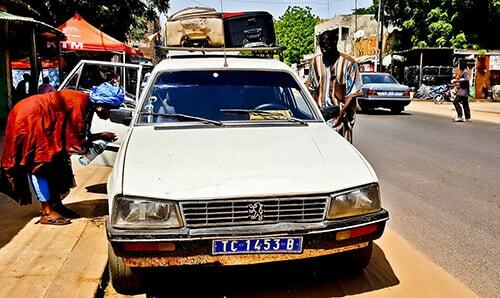 There are a couple of decent Auberges to stay the night which are close to where the bush taxi from Dakar drops you off. 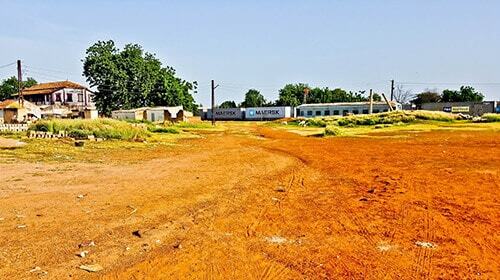 The bush taxi station for taxis to Kidira, the border with Mali is in the east of the city. The bush taxi to Kidira was 5000 francs and took just over 3 hours. From Kidira, you can take a bike to the Senegal police station for an exit stamp, then cross the bridge to the bus station. The Mali police station is another 2km further on and you cannot pass it until you are on the bus continuing through into Mali. The bus I took left at 8pm and the police station is open 24 hours, so there was no problem to get the entry stamp into Mali (I already had the Mali visa from Dakar). The bus to Bamako left at 8pm, and it took about 2 hours to get through customs and immigration. Then on entering the first major town in Mali, Kayes, the army checkpoint took everyone off the bus and took their identifications and passports. Everyone on the bus was from Senegal, Gambia or Mali and had to pay 1000 francs to recover their identification. For some reason, they returned my passport and didn’t ask me for any money. This happened again on exiting Kayes, only this time they only took the Senegalese peoples identification. 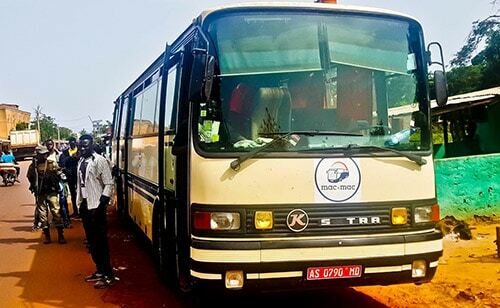 When the bus reached Diema two armed soldiers came on and escorted the bus to Bamako (pictured above). I am fascinated by historical sites. 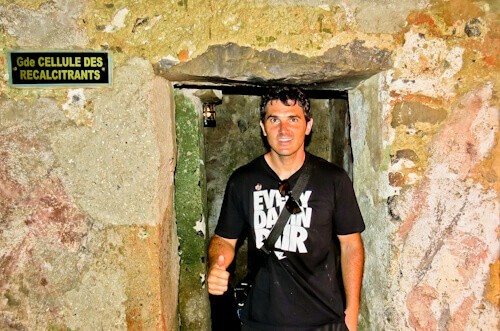 Hence, I would visit this country to explore Goree Island. It would probably be haunting to explore a site that facilitated in trade slave during the earlier times. You are lucky to be able to see this site first-hand! Your McDonalds story is pretty funny! And the Les Mamelles Lighthouse sounds amazing. I wouldn’t want to miss that. I am sure the House of Slaves was hard to visit, but important to see. I love having this list of things to see in Dakar! What an interesting place to visit! Such a funny story and what nice pics! What a fascinating story! I never through of traveling to Africa due to the unsafe areas and the risk of terrorist attacks of kidnappings. Mali seems like one of those really hard to reach countries and I would love to read more about it and see more photos that you took. I would also like to see the Pink Lake in Senegal, I would love to photograph it myself. You always have interesting articles about places. I can see that it’s really hot :D, will take extra water when I get there! I’ve never been to Africa though, because of the concerning about safetyness. You are really brave that you still go there despite of the risk of potential terrorist attack. Thanks Gareth, I didn’t know about the African Resistance Monument being a gift from North Korea. In total, it would”ve cost $ 27 million. Unable to afford a cash payment, President Wade then paid North Korea by giving him Senegalese territories. Very cool that you got to see Dakar. My cousin was a Peace Corps Volunteer in Senegal nearly ten years ago and had nice things to say about the city. Bummer about the McDonald’s, though. 🙂 And a 7-hour taxi ride with only 1 stop? Yikes! Looking forward to reading posts on Mali! Wow, that must have been an exhausting trip both physically and mentally. Its so sad to know how they are living and how they once were treated and not to mention have to deal with so many obstancles (and the heat) during your own adventures. Thank you for sharing, my anxiety issues prevent me from exploring more. Great description. You put Dakar on my map now. Truly a fascinating story blog post! 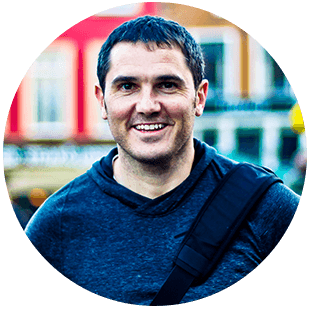 I love reading stories about experiences that leave me wanting to read more! Looks like a diverse and beautiful getaway! I am dying to visit Dakar now and see for myself. This read was a different aspect of SouthAfrica. 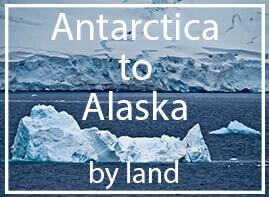 Having read a lot about the wildlife it was interesting to read about the historical sites. We would like to visit the House of the Slaves and the Pink Lake. From your account, it seems like transportation and visa charges are pretty costly. Is it same all over SA? Senegal is in West Africa and there is no visa charge for Senegal. The visa charge was for a Mali visa I bought in Senegal. In South Africa you don’t need a visa either. We went to a slave site in Zanzibar and it shook my soul. I guess the house of slaves will have a similar impact on me. I am too scared to travel in Africa by land… admire your guts! Dakar sounds like an interesting place to visit. Not sure though I would want to do the journey you did to Mali though. It does sound like a complicated trip and I haven’t travelled through Africa yet. It’s on my list to do but still not sure if it is safe enough for a solo woman. Maybe I will just fly instead, though if its cheaper by bus, I might go that route too!! When I read the title of this post, I have to confess I did not know about any one of the places you mentioned or where in the world they were. Thanks for another wonderful trip detail and Dakar really looks like a place that is unique and different from the usual. Some day when I plan to travel in Africa, I will be using this for sure. Senegal looks like a lot of fun. I remember learning about it when I was in school. Nice to see there are lots of land options for travel there too. I would love to visit the national park to see those animals in real life! Goree island is colorful and pretty. Dakar I heard for first time but looks interesting due to UNESCO heritage site. Travelling by road is also explained in detail. Oh, I didn’t know that fake Mc Donald’s exist. Never mind, glad to hear that you found food at a better place. I mostly try to eat local when visiting a new place. Dakar sure is an offbeat destination. It’s really interesting reading about your journey in Africa. I studied African politics and French at university and so many things started coming back to me as I was reading this. One of my professors was from inland Senegal and she always had the most interesting stories about African society to tell. I’ll be curious to read about your time in Mali, what with the unrest, al-Shabab and whatnot. This was an insightful trip. I have not read much about West Africa because there are probably only a few travelers who go there. 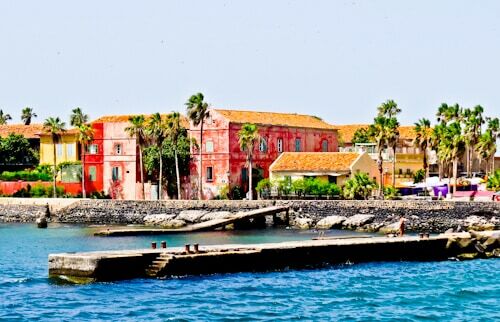 It would be very interesting to visit Goree island. Slave trade was tragic. The security guard was really odd. The good thing is that he did not insist on getting your sunglasses. That’s great news Dora, enjoy the rest of your trip!